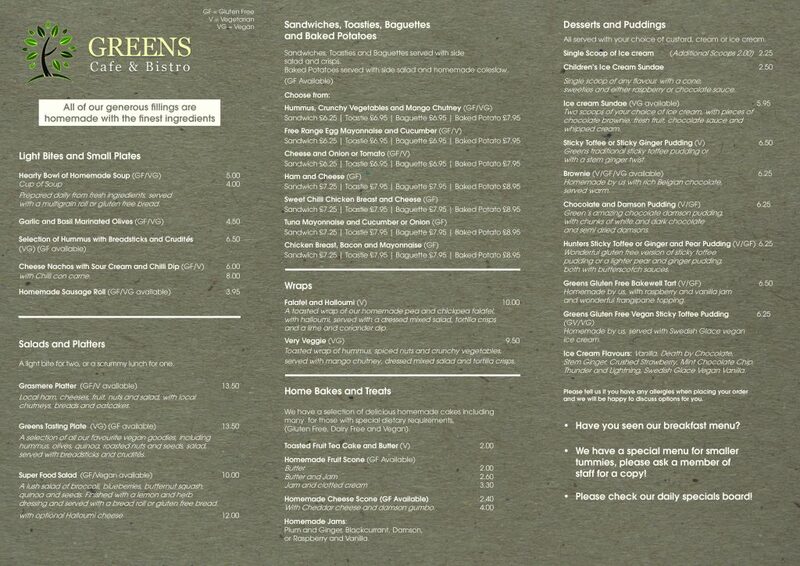 We serve a lovely selection of gluten free, vegan and vegetarian food. We are also child and pet friendly. From delicious hot meals after a long day on the fells, to light mid morning or mid afternoon snacks, we offer a full range of mouthwatering home-cooked treats. We also do daily specials, please find below our specials menu. Gluten free bread and cakes are readily available, sunflower spread and at least two savoury vegan options in addition to a selection of vegan cakes. 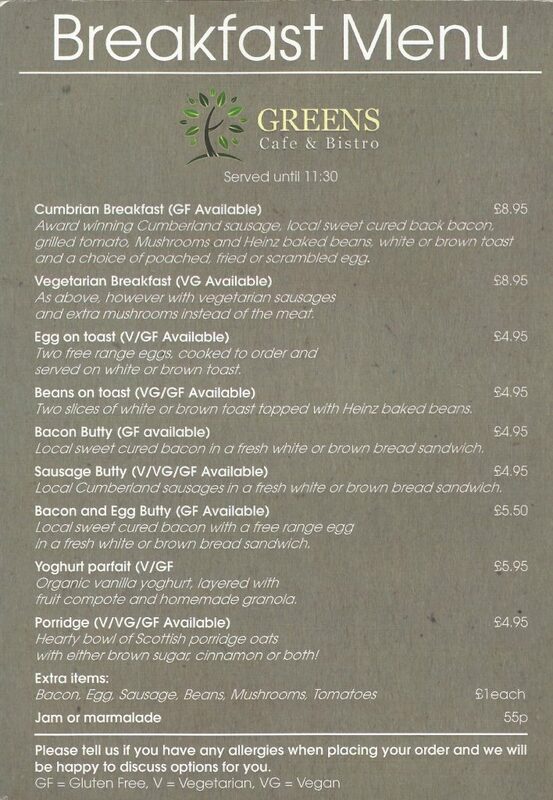 We are well renowned as a popular gluten free cafe, serving food which is gluten free, but still yummy! Baking our own cakes on-site, we can happily advise on those that are dairy-free. We are located in the centre of Grasmere, within easy reach of all the villages walks and attractions.